Professor Swanson specializes in second language acquisition, with special interest in phonology/phonetics, and language pedagogy. As director of the French Language Program and Graduate Teaching Assistant training, Professor Swanson is interested in how advances in second language acquisition theory can inform classroom teaching. She has published several pedagogical projects that incorporate research findings for first- and second-year French with Heinle/Cengage, McGraw-Hill and Pearson/Prentice Hall. She has also published articles in the area of phonological acquisition, as well as the syntax-semantics interface in second language acquisition. 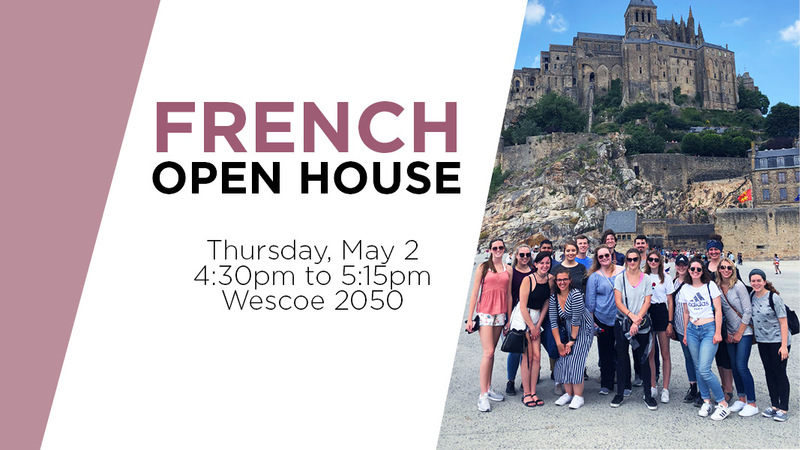 Additionally, Professor Swanson is interested in the history of the French language and has worked on language changes from Old to Middle French. Anderson, R., Dolidon, A., Hackney, M., Martin, E., McMann, L., & Swanson, K. A. B. (2011/2012). Workbook/Laboratory Manual for En avant (Elementary French textbook by B. Anderson, P. Golato & S. Blatty). McGraw-Hill. Pp. i-499. Swanson, K. A. B., & Lux, C. (2009/2010). Testing Program for Quant à Moi (Intermediate French textbook by J. Bragger & D. Rice) on CD-Rom. Heinle-Cengage. Pp. 1-116. Swanson, K. A. B., & Lux, C. (2009/2010). Preface to Testing Program for Quant à Moi (Intermediate French textbook by J. Bragger & D. Rice) on CD-Rom. Heinle-Cengage. Pp. iii-xv. Swanson, K. A. B., & Pons, C. (2008/2009). Testing Program for Points de départ (Elementary French textbook by A. Valdman, C. Pons and M. E. Scullen). Pearson-Prentice Hall. Pp. i-552. Swanson, K. A. B. (Under review). The use of dictées and goals for proficiency in the French foreign language classroom. Swanson, K. A. B. (Under review). Learner variability in the L2 acquisition and suppression of palatalization. Swanson, K. A. B. (Under review). The relative difficulty of constraint demotion: Evidence from French and English interlanguage. Swanson, K. A. B. (Under review). A bi-directional study of the L2 acquisition of aspiration. Professor Swanson is currently working on a large-scale, classroom empirical study on the effects of using dictées (dictation exercises) in the teaching of French as a foreign language.